As Foundation Professor since 1997, I have been responsible for developing under graduate education in general practice and post graduate education in primary care in the University and region. I am also a general practitioner principal in a semi-rural practice in Turloughmore, County Galway. I qualified in medicine from Trinity College Dublin in 1988, completed my higher general practice training in Dublin 1992, was awarded an MD in 1996, a Fellowship of the Royal College of General Practitioners in London in 2004 and a Masters in Clinical Epidemiology in Australia in 2011. I was a Visiting Professor to the University of Adelaide and Flinders University in Australia for the year of 2004. I was the inaugural Chair of the University Research Ethics Committee (2005-08) and past Chair (2004-08) and Secretary (2000-04; 2010-14) of the Association of University Departments of General Practice in Ireland. I have contributed to national policy development as the Chair of the Primary Care Sub-Committee of the Ministerial Advisory Forum of the Cardiovascular Strategy (2000-6) and a member of the Ministerial Expert Group on Resource Allocation and Financing in the Health Sector (2009-10). Currently I am a member of the Hypertension Committee of the Irish Heart Foundation (2008-), Chair of Research and Board member of the Irish College of General Practitioners (2014-), Examiner ICGP (2010-) and board member of COPE (2011) - a charity for people affected by homeless. My research, largely quantitative and always collaborative, addresses chronic disease management and professional practice in the community. My Hirsch-index (for all its limitations!) in March 2015 is 23 ( http://en.wikipedia.org/wiki/H-index). 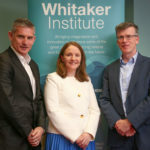 I was principal investigator of the Health Research Board (HRB) funded five year research programme on the provision of secondary cardiac care in the community which is the largest published non-pharmaceutical trial ever conducted on the island of Ireland (http://www.spherestudy.com/). This research was awarded the 2011 Royal Academy of Medicine In Ireland Best Overall Research Paper - the only time a general practice paper has been so recognised. I have been a lead investigator on trials evaluating the role of general practitioners in A&E and the management of cardiovascular disease, chronic pain, COPD, and urinary tract infections. These have resulted in publications in the BMJ, Pain, BJGP, Thorax and Trials. Regarding trial methodology, he has published on cluster trials, recruitment strategies, generalisability and patient acceptability of data access. I am the Clinical Lead of the Western Research and Educational Network (http://westren.nuigalway.ie/). It is Irelands first and largest university affiliated research network. WestREN was a prime mover in the development of the Irish Primary Care Research Network (http://www.ipcrn.ie/) for which I am data guarantor. In 2015 I was PI on the  2.5 million HRB Primary Care Clinical Trial Network (http://primarycaretrials.ie/). This is the largest competitive research grant ever awarded to Irish general practice. Andrew Murphy has published nationally and internationally on his research interests of the management of cardiovascular disease in the community, professional practice (with an emphasis on rural practice), patients¿ perspectives and medical education. He is principal investigator of the Health Research Board (HRB) funded five year research programme on the provision of secondary cardiac care in the community as well as a co-applicant of the HRB Unit on Health Status and Health Gain. Andrew is the inaugural Chair of the University Research Ethics Committee and the first Chair of the newly established multi-disciplinary Centre for Clinical Health Services Research. He has contributed to national policy development as the Chair of the Primary Care Sub-Committee of the Advisory Forum of the Cardiovascular Strategy and through his collaboration in the publication of primary care strategies for the North Western and Western Health Boards. He was fortunate to be able to undertake, in Australia, a sabbatical at Flinders University and the University of Adelaide in 2004. (2002) Secondary prevention of heart disease: a baseline survey of patients' lifestyles and service provision in the North Western and Western Health Boards. Research and Development Report, Department of General Practice, National University of Ireland, Galway. (2013) Medical Student Selection: Can Multiple Mini Interviews work in an Irish setting?  A feasibility study. (2013) Healthcare utilisation, co-morbidities and polypharmacy in community heart failure patients. (2010) Establishment of OHCAR: national out-of-hospital cardiac arrest register project. (2007) Abnormal glucose regulation in a community-based population with coronary artery disease; are routine oral glucose tolerance tests necessary?. (2004) Training Tool for Oral Examiners- CD ROM. (2008) How effective is prevention in coronary heart disease?. (1998) Using email for abstracts submitted for conference was unexpectedly labour intensive. (1995) EMERGENCY CARE IN GENERAL-PRACTICE - IRISH GENERAL-PRACTITIONERS LEARN IMMEDIATE CARDIAC CARE. (2013) Does the CHA2DS2VASc Score Predict Falls?. (2012) Chronic pain: Predicting quality of life and pain status at 12 month follow-up. (2012) Vascular Risk Factors and Functional Impairment in Community Dwelling Older Adults in the West of Ireland. (2012) The Influence of Body Mass Index on All-cause Mortality in Patients with Established Cardiovascular Disease. (2009) An epidemiological study examining the prevalence and psychological impact of chronic pain in Ireland. (1995) SMOKING AND PERIODONTAL HEALTH AMONGST IRISH ADULTS. (2008) How effective is prevention in coronary heart disease?. Heart [Impact Factor 4.964]. (2010) Interventions used to improve control of blood pressure in patients with hypertension. (2010) Self-monitoring and other non-pharmacological interventions to improve the management of hypertension in primary care: a systematic review. (2010) Teachers in General Practice Annual Educational Weekend Meeting -What do I do with my medical student?.